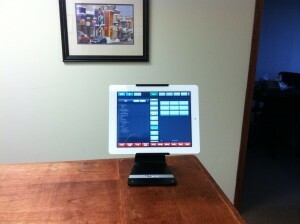 HomePOS Technologies BlogAloha on iPad–It’s Here!!! 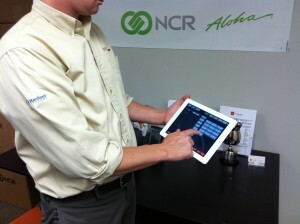 Love your Aloha system but wish there was a way to use it on an iPad? Well your wish has been answered and Aloha is now available for installation on your Apple device! Aloha Mobile provides you with the virtually the same look and functionality you see on your Aloha terminal but on an iPad, iPad mini or iPod that fits in your hands. These wireless terminals can follow you anywhere in your site and give you complete flexibility in serving your guests. This makes it ideal for large events and also gives you the flexibility to cover patios and conference rooms. Imagine guests placing a drink and appetizer order at the table—and having the drinks show up at the table before they had even finished their app order! Aloha Mobile can change the entire guest experience and gives your servers the ability to immediately react to customer requests. This leads to increased orders and a much stronger bottom line. We have the iPad terminal installed in our office so contactus@postechnologies.net or give Ryan a call at 801.487.6558 to setup a demo of this new mobile Aloha option. Awesome! does it also have an order taker system that is also integrated on the kitchen and the cashier? that will be the best restaurant system ever. Yes, it is fully integrated with the kitchen and the rest of the Aloha system.